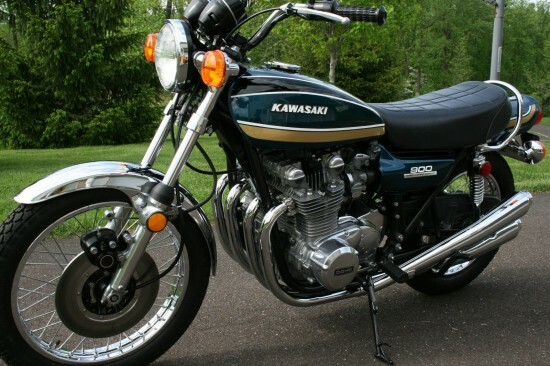 The Kawasaki Z1 was, along with the Honda CB750, a pair of final nails in the coffin of European big-bike dominance. 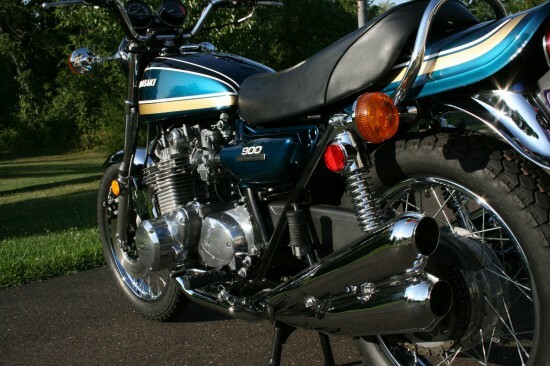 While the Z1 will always have the stigma of “copycat” because it was released after the Honda, Kawasaki’s 750cc four-cylinder was actually being developed at the same time, unbeknownst to either manufacturer. When Honda released their bike ahead of Kawasaki, it sent their engineers scrambling to come up with something to differentiate their new bike. So of course, they made it bigger. 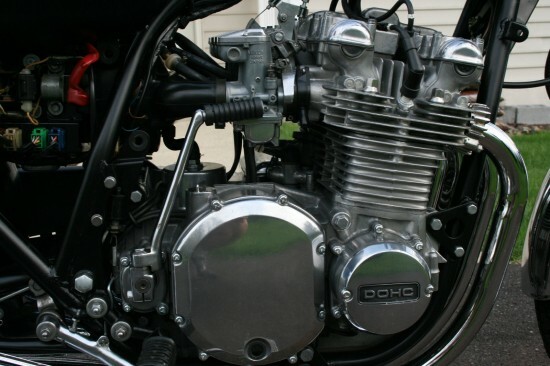 With 903cc’s of smooth, relentless power, it blew the CB into the weeds in terms of outright performance, with 82hp and a top speed of 130mph. Honda may have been first, but the Kawasaki was undeniably faster. These two new four-cylinder models were powerful, relatively inexpensive, and far more reliable than anything the Europeans were producing at the time. They may not have handled quite as well, but on straight-line roads all over America, nobody cared. Unfortunately, many of these were used and abused, then discarded: the finicky nature of British and Italian motorcycles makes them a labor of love, and long hours spent keeping your motorcycle in good tune creates a bond born of blood, skinned knuckles, and an empty bank account. But Japanese bikes just worked, and large numbers sold meant that they were hardly rare and collectible. But now, good examples like this one are very much in demand, and prices are on the rise. 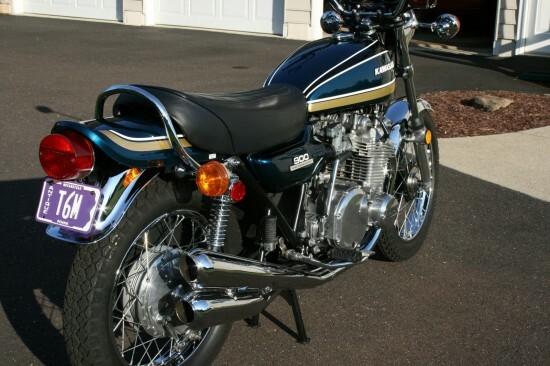 This 1975 Kawasaki Z1B is in immaculate condition. I am the third owner, purchasing the bike in early 2011. Prior to my purchase, the bike went through a concours quality restoration. 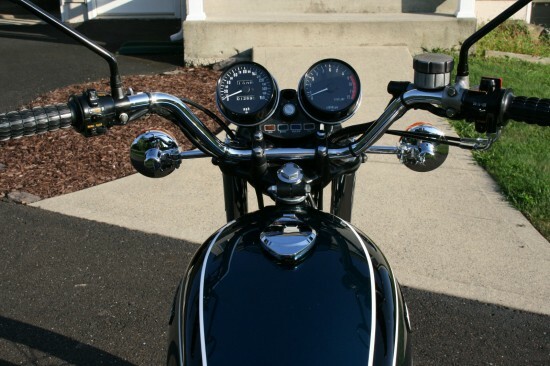 The entire bike was stripped down and rebuilt to original factory specifications. Where necessary new parts were used to restore the bike to an as new condition. 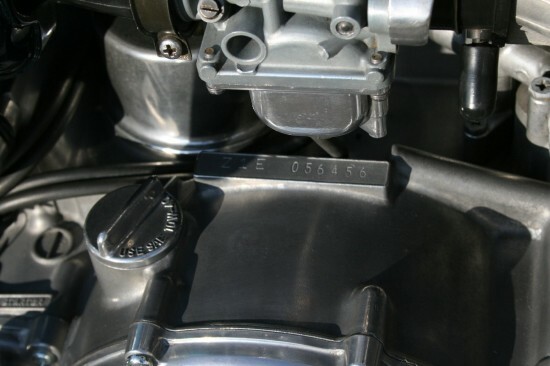 The bike received new clocks, the bike’s original documentation shows the prior mileage to have been around 16,000 miles. The new clocks reflect the mileage (1,270) since the rebuild. The bike has been meticulously maintained. Everything operates as it would have when originally new. It starts, idles, runs, handles, stops, as it did 39 years ago. I have had the bike mostly on display at my house. It has been riden occasionally on sunny summer afternoons and shown at a few classic motorcycle events, where it always attracts attention. 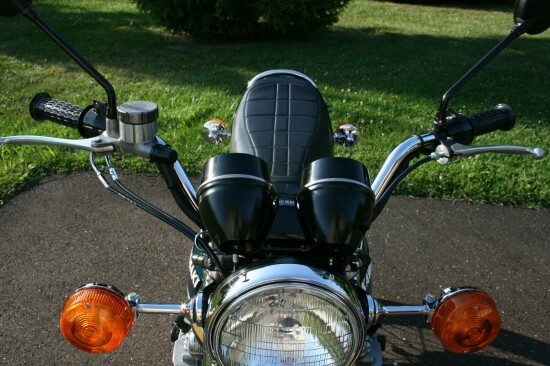 The original Kawasaki Owners Manual and Warranty Handbook, and Clymer Service/Repair/Maintenance Manual, are included. This is a museum quality example of this classic 1970’s Japanese superbike. This is a stunning example of the Z1. While it may not be a more desirable 1973 model, it’d be hard to find one much nicer. Take a look at the close ups of the engine: aside from a few nicks, I doubt a Z1 looked any better brand new on the showroom floor! 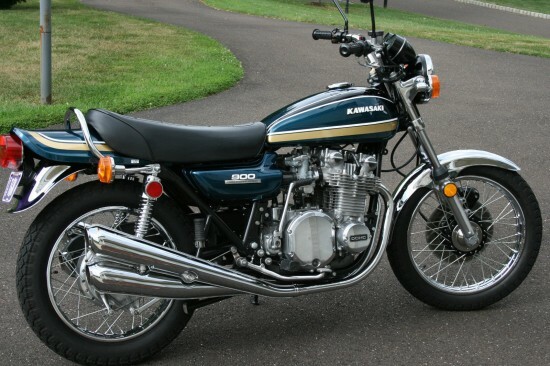 With upright looks, twin shocks, a comfortable riding position, even for two, stable handling, and plenty of power, the Z1 epitomizes the classic Universal Japanese Motorcycle. At $16,500 the price of entry may be fairly high, but you aren’t likely to find one nicer.